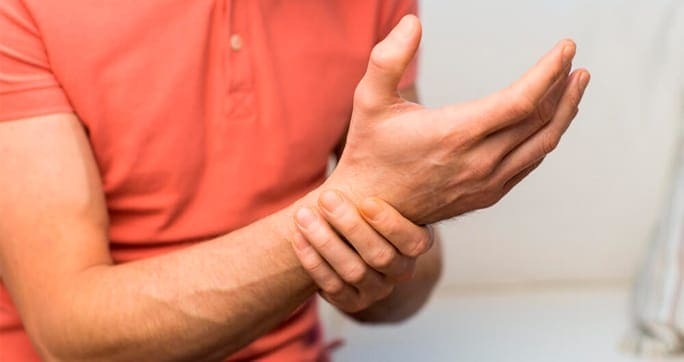 Wrist tendinitis, sometimes called De Quervain’s syndrome (or De Quervain’s Tenosynovitis) is an inflammation that causes swelling and pain in the wrist and lower thumb area. It is a frequent diagnosis among people who produce the same type of movements throughout the day with the wrist and the hand. Repetitive strain injury is what this syndrome called. Some physicians consider this disease a wrist tendinitis. Medical science says this condition has also been associated with rheumatoid arthritis as well as pregnancy. Using woodworking tools as well as even a computer mouse can add to this diagnosis over time. If you love hammering, using screws or even knitting, you most probably will face De Quervain’s syndrome sooner or later. numbness of index finger or the thumb. Rest as well as ice can temporarily alleviate aches, but unless treated, symptoms will return with repetitive activities. Physical Therapy Treatment for Wrist Tendinitis As with many repetitive strain injuries, muscle imbalances often contribute to wrist tendinitis. Overworking some muscles to the neglect of opposing muscles can place strain on joint structures like ligaments, tendons and nerves that can lead to joint pain and deterioration. Stretching tight muscles while strengthening weak opposing muscles often helps resolve RSIs. Physical therapy for wrist tendinitis is directed at relieving pain and restoring normal function. Your therapist is likely to take a multimodal approach to treating your wrist tendinitis. Wrist Tendinitis Treatment in NYC If you are suffering from wrist tendinitis, the joint pain specialists at NYDNRehab can help. The rehab team combines cutting edge technologies with years of hands-on experience to diagnose and treat your wrist tendinopathy. At NYDNRehab, we don`t just treat your symptoms, we get to the source of your pain and correct it. Do not suffer needlessly from wrist tendinopathy. Call NYDNRehab today, and discover why we are the very best joint ache specialists in NYC.